It is never too early to start teaching your child how to treat our earth with the dignity and respect that it deserves. 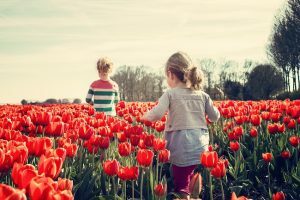 If you’re looking for some Earth Day activities that are both fun and educational, this list will give you ideas that children of all ages will enjoy. Seed bombs are a great way to plant seeds, and they are super easy and fun to make! Even children as young as three can help make these fun little Earth Day project. You can teach your child about different kinds of seeds and plants while making your DIY seed bombs. All you need is blue, green, and white natural clay, seed compost, and seeds (wildflower seeds are a fun one). Roll the ingredients into fist-sized balls, letting the clay mix together to look like miniature planet Earths. Now it’s time to get dirty! You and your child can plant these little beauties anywhere in your garden. Bird-feeder ornaments are another kid-friendly project that children at every developmental stage will love. All you need is: water, gelatin, corn syrup, bird seed, cookie cutters, straws, parchment paper, and twine. Be sure to have your child help with the pouring and mixing! Once you’ve completed making your bird-feeder ornaments, hang them up on the branches of trees nearest to your house. Grab the binoculars so you and your child can see who’s coming to dine on your beautiful Earth Day works of art! If looking for an extended, indoor Earth Day experiment, consider making a seed-in-a-jar! Your child will plant a seed in a clear, glass jar and watch it grow, from start to finish. This exercise will teach your child the steps of plant growth in an exciting and accessible way for even the youngest students. And you only need four supplies! Supplies include paper towels, water, glass jars, and seeds (pea, bean, and sunflower seeds are all good options). Place your seeds in a damp paper towel, and then place that paper towel in the jar. Then all you have to do is watch it sprout!